innumerable distinctions -- a separate currency, left-side driving, and a capitalist-friendly economic system. Simply admiring life here in one of the most densely populated regions of the world is a highlight of a visit to Hong Kong -- from floating homes on fishing junks in Aberdeen to the ubiquitous high-rise apartments -- but leave the city center for top attractions, such as Lantau Island's "The Big Buddha", a 250-ton statue of Buddha. Harbor cruises, shopping, and riding the Peak Tram to see Hong Kong from above are also popular things to do. Surprisingly, you'll also discover Hong Kong has some great hiking as well. When you get hungry, look no further than excellent dim sum restaurants like Tim Ho Wan. Street food is also popular and well executed. If you want an extravagant hotel, like The Peninsula Hong Kong, this city will do you right, but dozens of hotels and guesthouses offer no-frills rooms for less. recommended for a visit if you have a say in the matter). Spring has warm temperatures, but days can often be plagued by fog and drizzle. Late fall is really ideal, with pleasant temperatures and plenty of blue skies. Book well in advance if you are traveling during major Chinese holidays (Chinese New Year, Golden Week) as tourists from the mainland can arrive en masse. In this huge city there is "little reason to worry about safety," but it's better to "dress conservatively." In general, women feel "comfortable walking around the city, even late at night." As always, "stay vigilant and use common sense." Skyscanner surveyed its Solo Female Traveller Tribe to compile woman-to-woman safety tips for this destination. While no one destination is ever completely safe or unsafe, our hope is that this information will allow users to make their own decisions with better information. One of the world's great cities, and a nice introduction to Asia with some of the amenities and English spoken as a leftover from its time under British rule. A culture all its own still! Not a good experience for recent trip to Hong Kong.. I have been 4years didn't go HK, This was my more than 6times to HK land. But was surprised on the HK residents attitudes- was very rude compared to 5years back.. too many bad things happened till I won't go in near future. 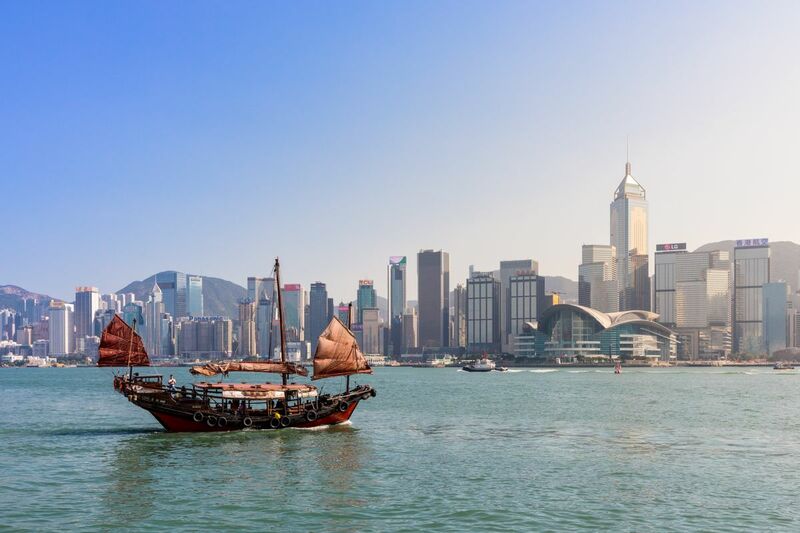 Hong Kong is a great city with tremendous history and energy. The melting of the old colonial history from British rule mixed with the local Chinese culture is a great introduction to the region for a first time visitor to the region. What can I say about the city that has shaped me for the past three years? It's the place that I call home and is the most fantastic place I have ever lived. There are so many things that I love about this weird and wonderful city, there is no where else like it in the world. My favourite has to be that you can be in the heart of a crazy, busy, noisy urban landscape but jump on a bus and within 30 minutes you're on a stunning beach or amongst the mountains. It's the perfect balance of local culture, expat life and everything in between. Hong Kong you have my heart! I live in Hong Kong, at first I didn't really enjoy living in Hong Kong cause I thought it was too crowded for living. But now, I've changed my mind cause I found that no matter how crowded Hong Kong or my home is, home is still home, no matter big or small.